Brother’s SE1800 is one of the combination machines (embroidery and sewing) we’ve recently managed to get our hands on and it has not disappointed. Even though it’s perhaps not a machine for every budget, the SE1800 offers a lot. The SE1800 looks professional and modern. Sleek lines and a light color scheme should be enough on their own to satisfy the aesthetically-conscious buyer, but overall, the device looks neat and compact, even though its dimensions (22.1 x 19.8 x 19.1 inches) and weight (39.5 pounds) may suggest otherwise. 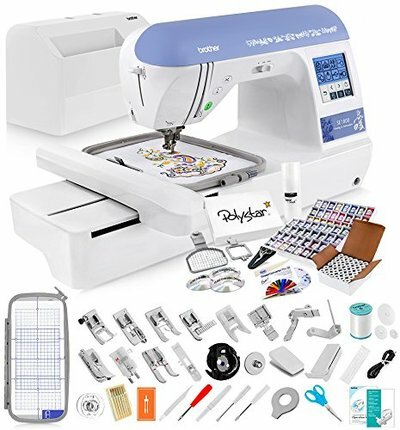 The SE1800 is a combination machine, big enough for working on larger embroidery and sewing projects. The decently large 5×7 embroidery area allows the user to stitch different designs, but most importantly – 2 hoop sizes are included, as well as a 5×12 inch hoop, that can be repositioned easily. Perhaps this machine could have benefited from a larger hoop, but these should be enough for most users. 136 built-in embroidery designs, including florals and quilt designs also come with the SE1800. Additionally, there are 10 different frame shapes available, as well as 12 border styles. Designs can be rotated and edited via the design editing features of the machine. An impressive array of 184 stitches, including decorative stitches such as smocking, scallop and shell tuck. Embroidery designs can also be imported via the USB port or from a USB stick and, of course, the user can design them using the appropriate software. 6 lettering fonts, including script, outline and serif fonts is also included and they can be easily combined with customized created or built-in designs. 10 different styles of built-in buttonholes are automatically sized to ensure maximum efficiency and ease of use. And lastly, the protective carrying case is a truly beautiful addition – it’s well-built, looks great and it’s very practical and compact. It also has a nice little outer storage compartment and, even if you don’t intend to travel with your machine, the case will do a great job at protecting it from dust. In addition to the previously mentioned accessories, there are a few more worthy of a mention. Included are an embroidery foot, embroidery thread spool, a twin needle, kneelifter, a needle pack, 4 bobbins and more. In the design department, the SE1800 overdelivers, but performance is what matters the most. So, let’s see how this combination device performs. 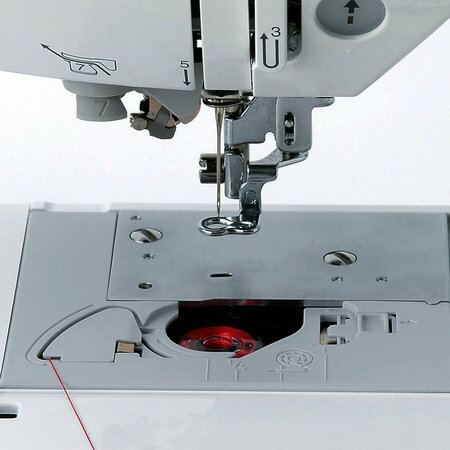 The sideways sewing feature is one of the best things about the SE1800 – it works great for cylindrical and applique sewing and allows the user to sew horizontally, which means there’s much less fabric rotating, which in return means the SE1800 will get the job done quite a bit faster than most combination machines out there. The standard backlit LCD display screen is nothing to write home about, but it serves the purpose and it’s intuitive enough and easy to use. The user can select their stitch, see it clearly displayed on the screen and start sewing. To Brother’s credit, the screen is conveniently placed, which makes things much easier than you’d expect. 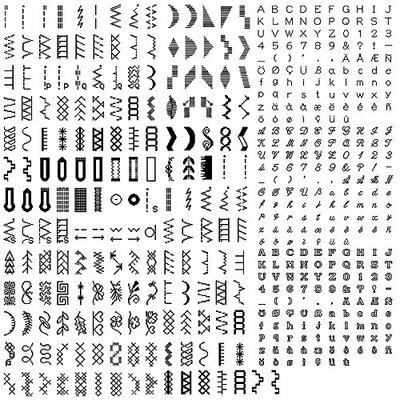 The generous selection of quick-change feet includes: buttonhole, overcasting, monogramming, zipper, zigzag, blind stitch, button fitting, stitch guide, adjustable zipper/piping, non-stick and open-toe feet. The work area is very brightly lit, which is especially useful for positioning multiple designs and, of course, when sewing on darker fabrics. The start/stop button and the speed control button are conveniently placed and easily accessible. Both work good, but the start/stop button is especially useful for more precision in stopping and starting stitching. The thread automatically goes through the eye of the needle, as soon as you press the lever on the side of the SE1800 – Brother calls this the “Advanced Easy Needle Threading System” and even though the name is quite flamboyant and over the top, it certainly works great. The bobbin system works very well and provides even stitch quality, but the clear-view bobbing and bobbin cover make it even better, because they allow the user to see if they’re running low on thread or not. All in all, the SE1800 is a great, well-rounded combination machine. But, it perhaps may not be for every budget. 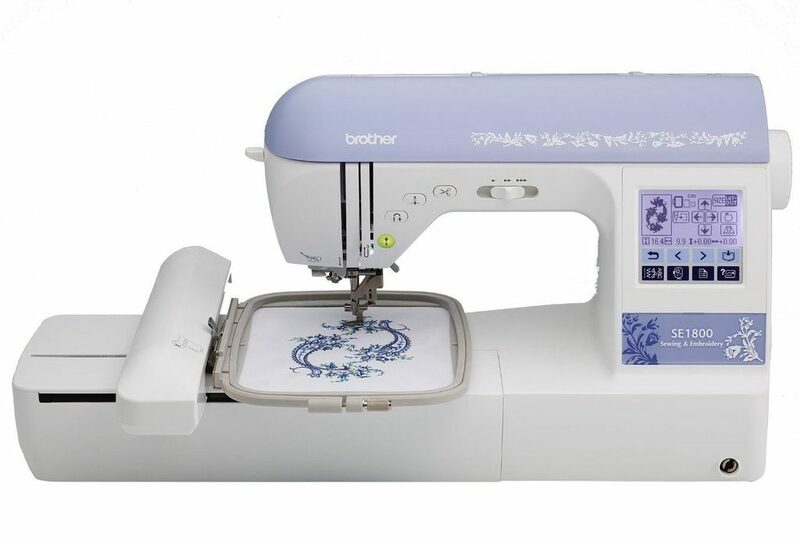 The Brother SE1800 is a great sewing/embroidery machine that features pretty much everything a hobbyist or a home-based business would need. Its strongest points are the functional design and the great performance, but useful additional features are the cherry on top. The hoop size is not the SE1800’s strongest point, but it is enough to get the job done. Therefore, the only possible downside could be the price, but if you’re willing to pay for it – you will get what you paid for and more.